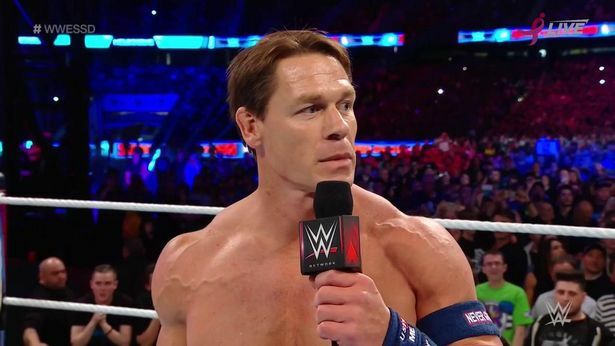 John Cena &apos;s plans for WrestleMania 35 remain something of a mystery, but it appears he had been earmarked for a championship bout. WWE legend Cena has transitioned to a part-time role with the organisation, meaning that his time on screen has been reduced of late. The Cenation Leader is yet to be confirmed on the card for the Super Bowl of Sports Entertainment, which takes place at MetLife Stadium on April 7. However, according to last week&apos;s edition of Wrestling Observer Radio , Cena had been scheduled to take on US Champion Samoa Joe in New Jersey. The rivalry has been trailed by WWE in a video comparing the rise of the two wrestlers. Cena and Joe both started out in California-based wrestling promotion Ultimate Pro Wrestling – which was affiliated with the WWE&apos;s development system – in the early 2000s. The pair struck up a friendship having faced each other multiple times in their early careers. It was claimed by WWE that Cena and Joe got so close that they would hang out away from the ring, but the latter teased a feud when he disrespected his friend in a backstage promo. The Destroyer said: “I don&apos;t pander to the masses or the unexceptional, and I sure as hell ain&apos;t a man who loves John Cena . “Hustle, loyalty and respect? No, no, no. “All my opponents will find is disrespect, for any man who has the audacity to come for the king and his crown. But it seems as though plans for the match-up have been shelved with Joe now set to defend his US Championship against Rey Mysterio at WrestleMania 35.